Facebook and Instagram users were unable to login to the social media apps after they crashed unexpectedly on Friday. Both the apps and the desktop sites were hit by outages beginning around 11:40am (ET) this morning. It comes as Facebook and Instagram experienced a separate outage a little over a week ago on November 20. A live outage map showed hotspots in the northeastern region of the U.S., as well as many parts of Europe. Parts of South America, the Philippines and Indonesia were also hit. According to Down Detector, approximately 54 percent of users said they had trouble accessing their Instagram feed, while another 25 percent they were unable to login at all. 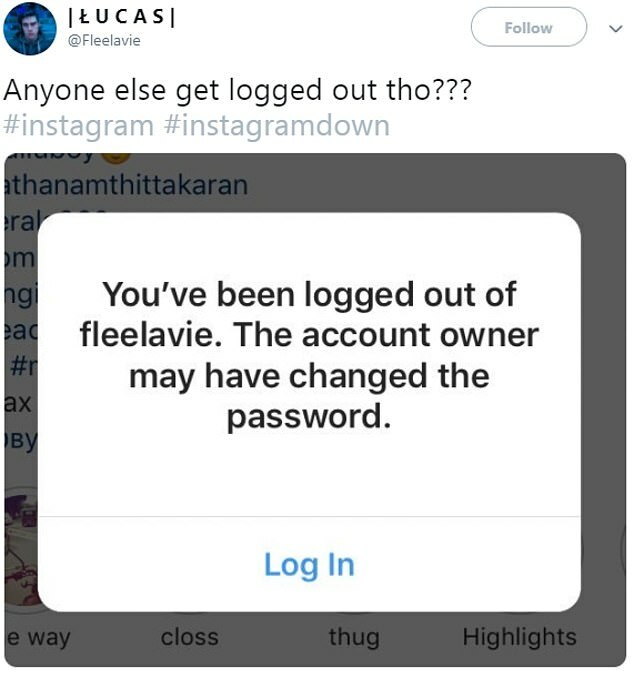 Some users who tried to login to Instagram appeared to have been served an error message saying they were logged out of their account. Approximately 20 percent of Instagram users said they also couldn’t access the desktop website. On Facebook, approximately 46 percent of users said they were experiencing a ‘total blackout’ on the website and the app. Another 34 percent of Facebook users said they couldn’t log in, while 18 percent said they couldn’t access the Facebook app. It’s unclear how many users have been affected by the outages on Instagram and Facbeook. However, a Down Detector chart showed there were 923 Instagram user reports submitted to the site by noon (ET). Approximately 1,511 user reports had been submitted about Facebook by 11:45am (ET). ‘I am unable to log-in, reset my password and I can’t use the Desktop app either,’ one user wrote on Down Detector about the Instagram outage. Users appeared to be having similar issues on both the Facebook app and website. 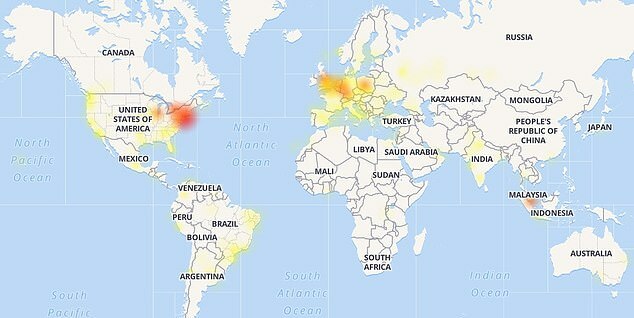 Disgruntled Facebook and Instagram users took to Twitter in droves to complain about the outage. One user on Twitter posted a screenshot of an error message they received after trying to login to Facebook.